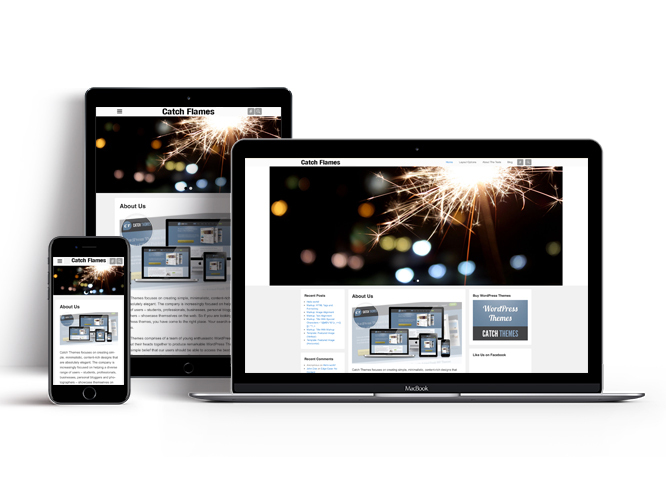 Catch Flames is a Simple, Clean, Lightweight, Box Shaped Full-Width responsive WordPress theme that automatically adapts to the screen’s size, ensuring that your content is displayed beautifully no matter what device visitors are using. Catch Flames is wider, bigger and looks luxuriously spacious. It uses Three Columns Layout as its default layout and can be changed to Two Columns or One Column as per your need. 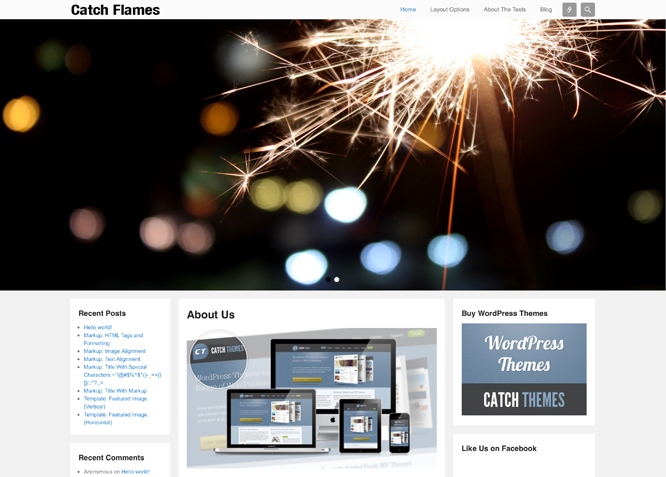 Catch Flames is based on HTML5, CSS3 and Catch Themes’ very own easy to use Theme Options panel, all of which make it highly customizable and flexible. Make your beautiful yet professional website in no time. This theme is translation ready. For more details check out Theme Instructions. 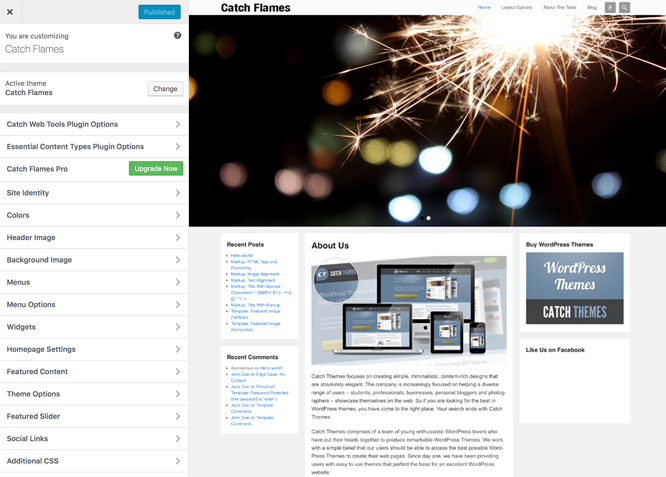 The most powerful feature of Catch Themes is its Theme Options which will allow you to easily customize your website with clicks. So, now you no longer need to be a designer or a programmer to build customized websites. Theme Options allow you to toggle on and off features, adjust layouts, change colors, fonts, logo, favicon, background, add social links and custom CSS. One of the key features of our themes is that your website will magically respond and adapt to different screen sizes delivering an optimized design for iPhones, iPads, and other mobile devices. No longer will you need to zoom and scroll around when browsing on your mobile phone. We have a great line of support team and support documentation. You do not need to worry about how to use the themes we provide, just refer to our Tech Support segment. Further, if you need to do advanced customization to your website, you can always hire our theme customizer! Featured Page Slider is an option that is helpful to highlight noteworthy pages on your site. You can have columns of content as well as selected images set on your page slider. The fun part is, you get to decide for how long a page stays on your page before something else comes up on the slider. How will you make that happen? By exercising your control over different slide effects and their timing!